907 S Fort Harrison Ave. Elements Yoga 4365 Bonita Beach Rd. TreeHouse Yoga 8509 N. 29th St.
Moksha Yoga Studio 3340 Fairlane Farms Rd. 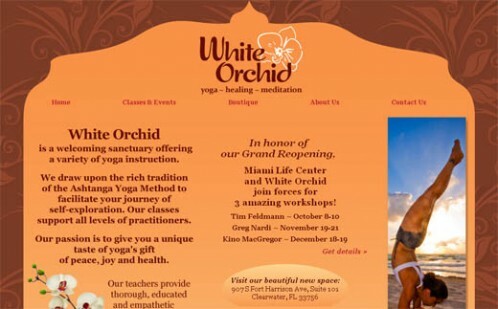 White Orchid Yoga Studio 907 S Fort Harrison Ave.